After taking a break last year, the multi-award-winning sensation Slava's Snowshow is back for 2017. The show has delighted audiences in over 80 cities around the world including New York, Los Angeles, Paris, Hong Kong and Moscow. And now this visual masterpiece returns to London for another Christmas season at the Southbank Centre this December. 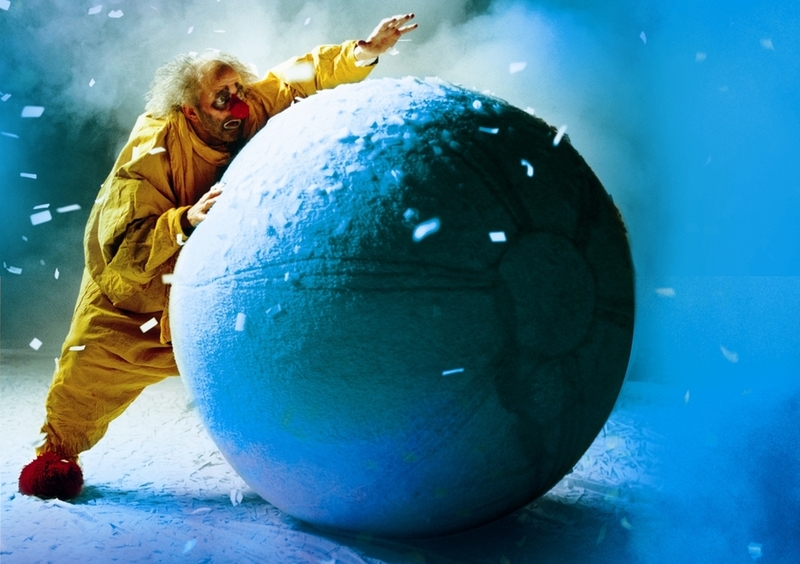 Loved by children and adults alike, Slava's Snowshow is a combination of theatrical clowning and stunning spectacle performed by the internationally renowned company of clowns lead by Slava Polunin. Experience a unique dream-like world which culminates in a breathtaking blizzard leaving you (literally) knee deep in snow! The Independent was moved to describe it as "simply thrilling - an unmissable comedy masterpiece." Recommended for ages 8 and above, this is definitely one not to miss. What are the best dining options near Slava's Snowshow London? Slava's Snowshow gyms, sporting activities, health & beauty and fitness. The best pubs near London Slava's Snowshow. Slava's Snowshow clubs, bars, cabaret nights, casinos and interesting nightlife. Where to have your meeting, conference, exhibition, private dining or training course near Slava's Snowshow. From cheap budget places to stay to luxury 5 star suites see our discounts for Southbank Centre hotels, including The Royal Horseguards - A Guoman Hotel from 81% off.